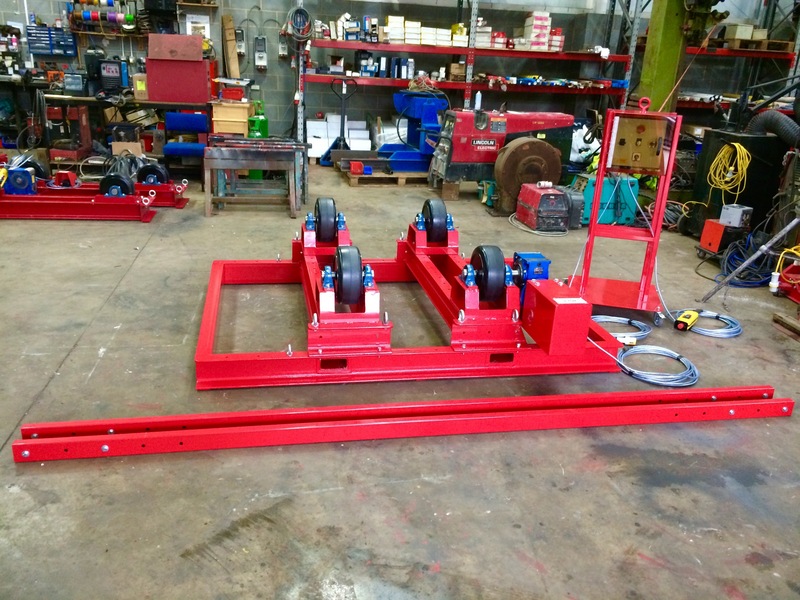 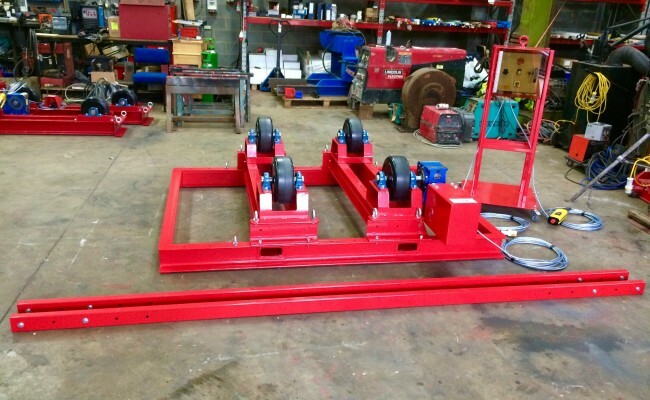 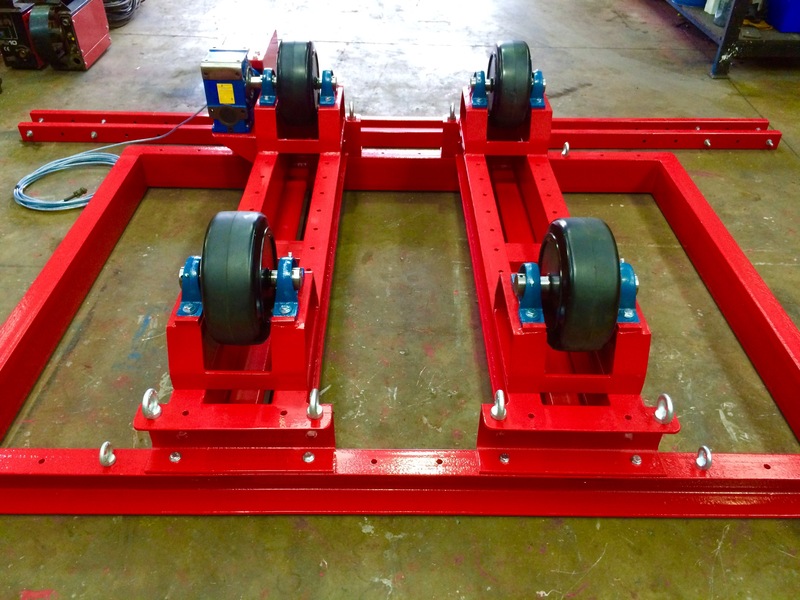 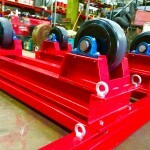 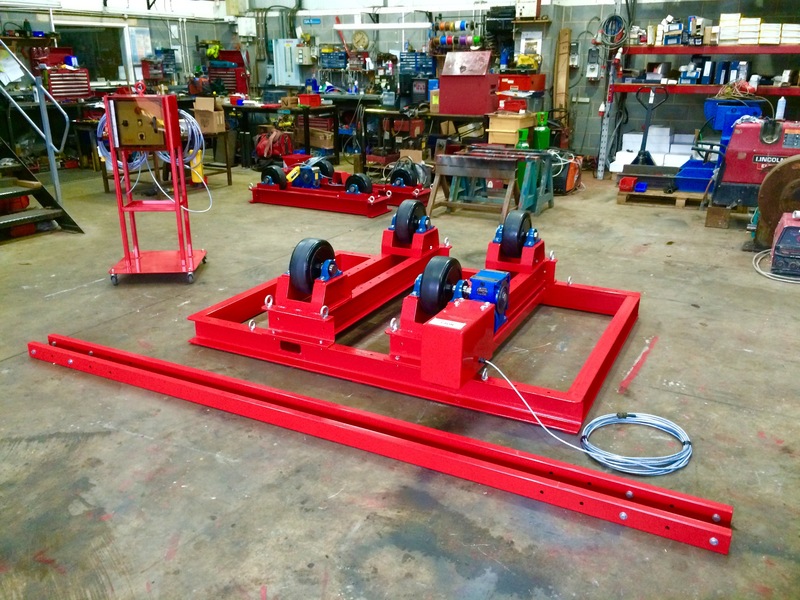 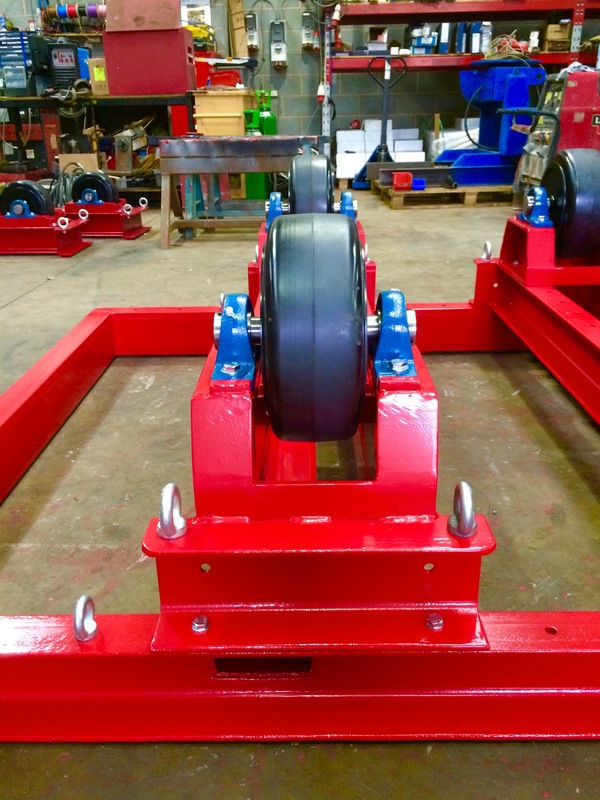 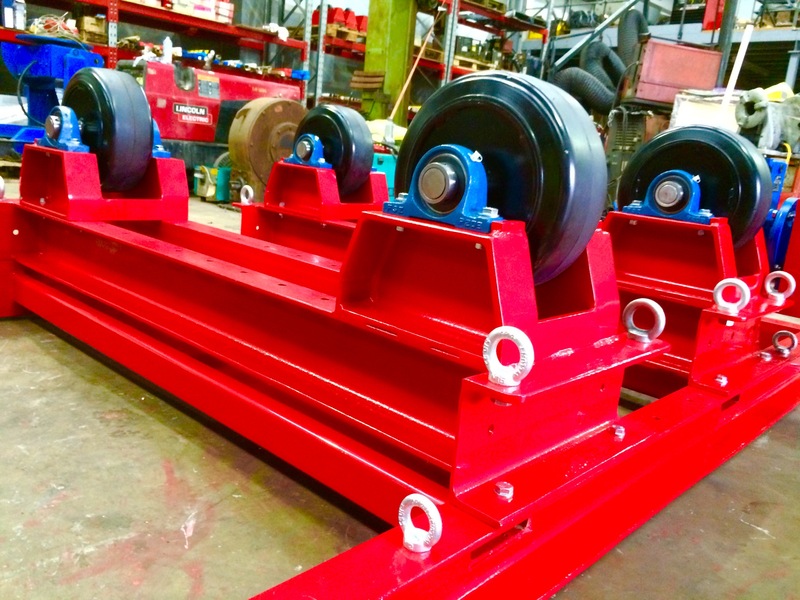 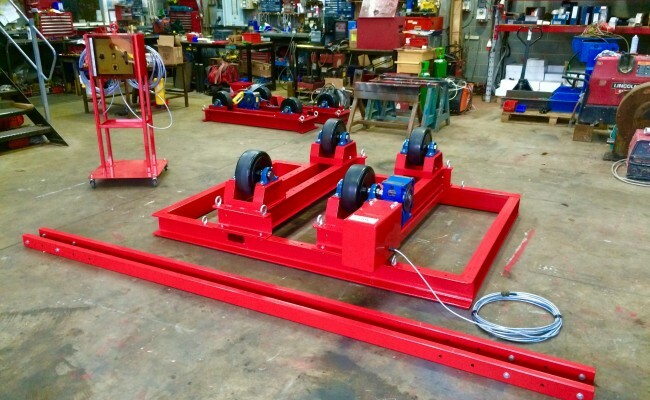 These 5 tonne welding rotators are a special set that we in-house manufactured for a customer that needed these rollers IP66 water and dust resistant. 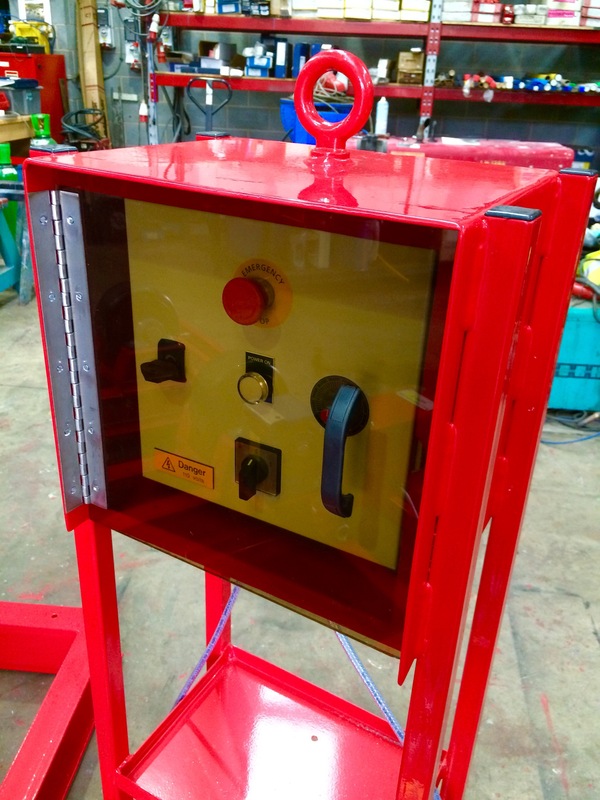 We designed them so they can be kept outside in all weather conditions, with a detachable portable control box stand which can be wheeled around. 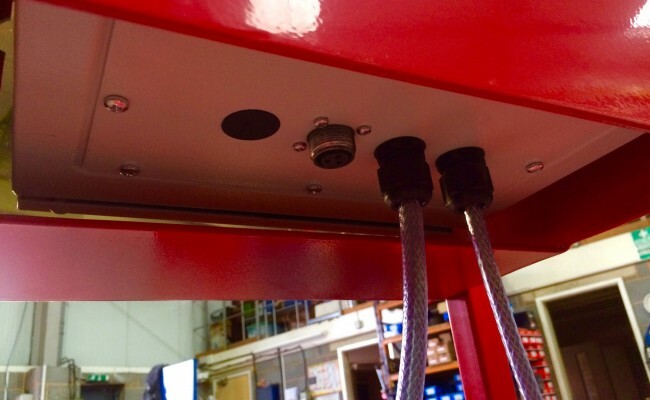 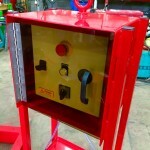 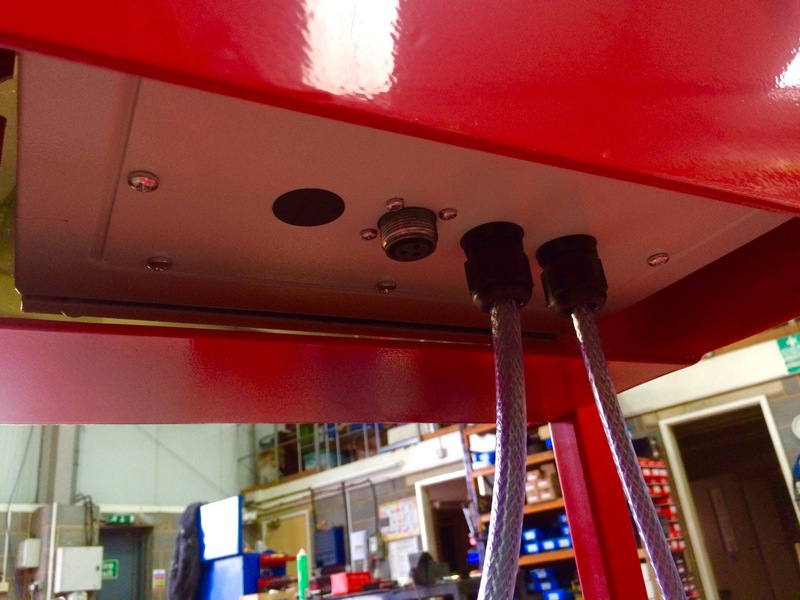 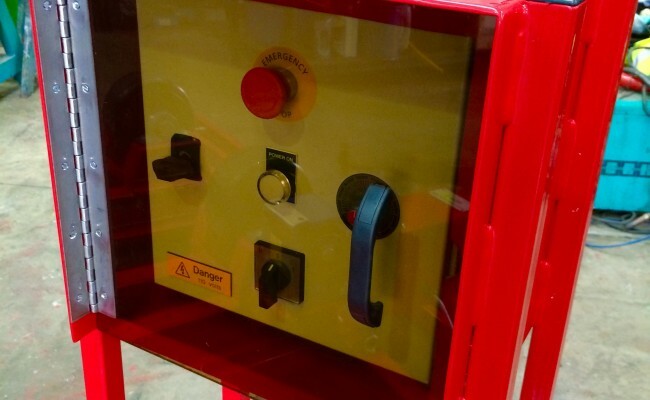 The reason we designed the control box stand to be separate from the frame was that the customer was also high powered jet washing the vessels, so it keeps the control panel away from excessive water and can be taken in doors at the end of a shift. 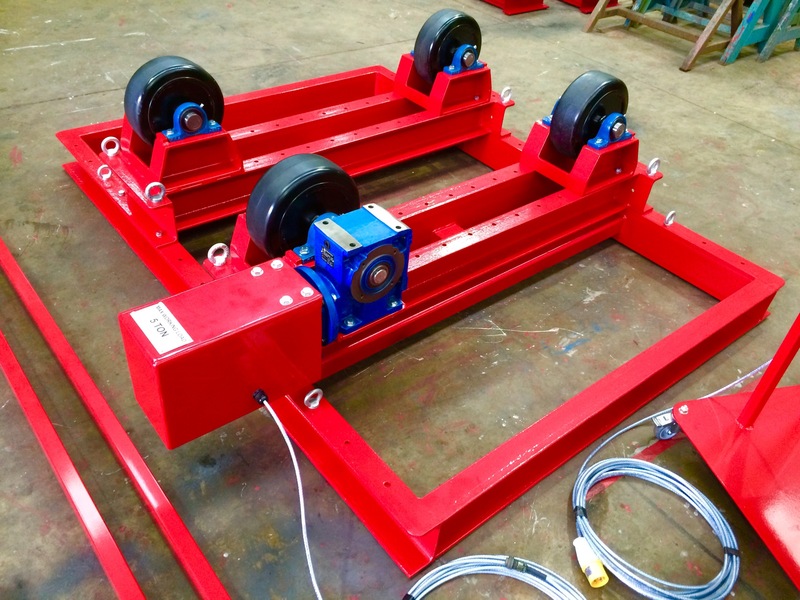 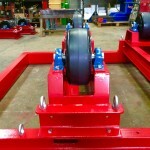 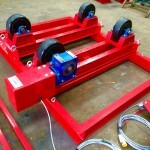 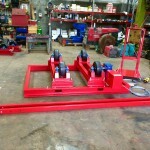 The 5 tonne roller frames are also our long frame model which can cater up to 2200mm maximum SWL OD pipe/vessels. 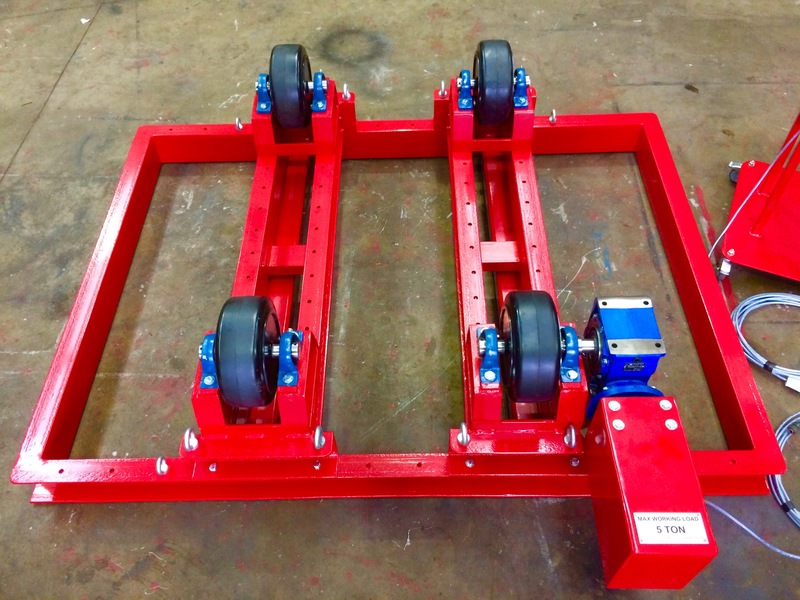 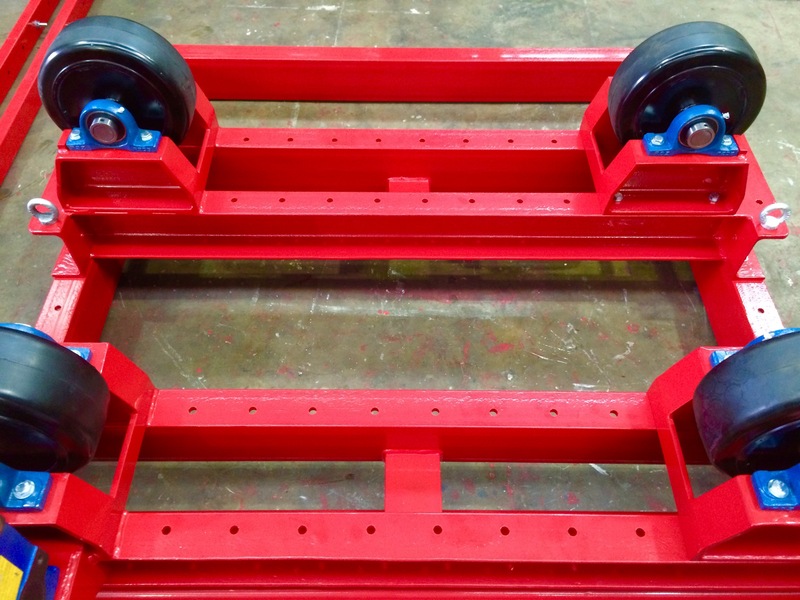 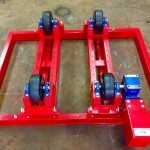 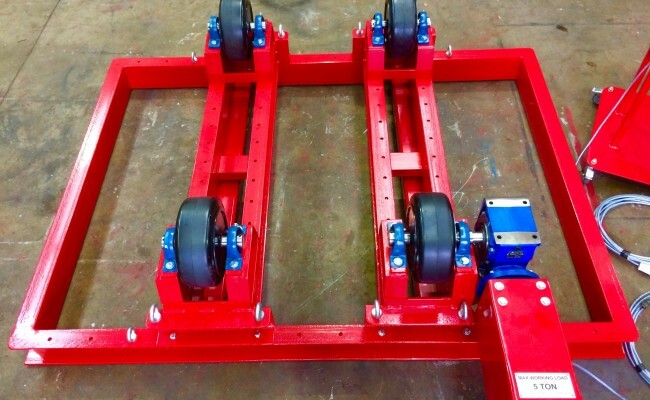 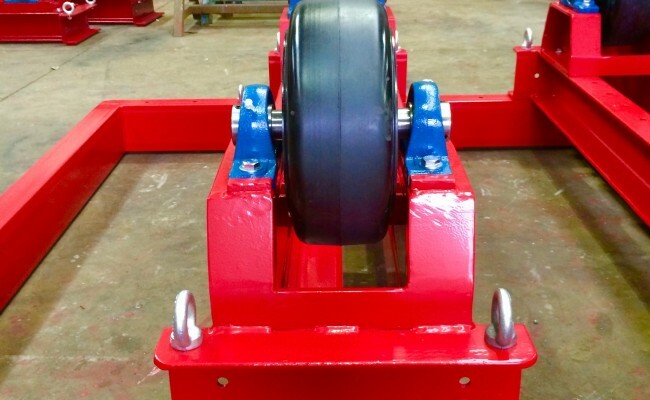 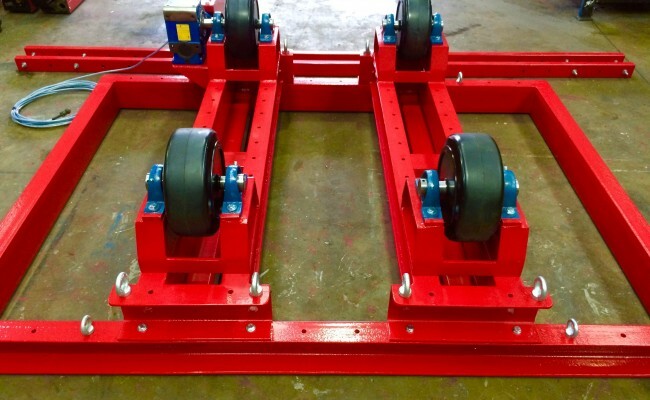 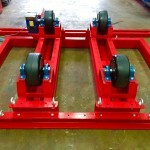 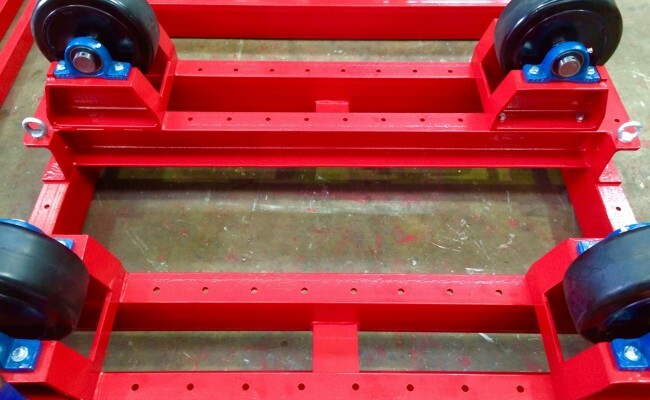 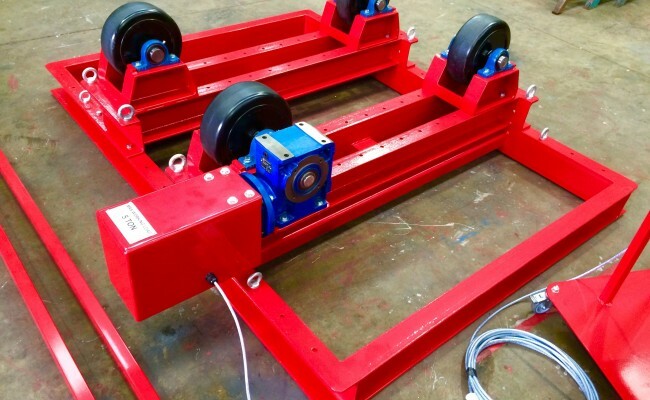 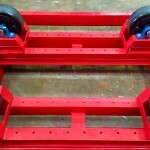 They sit on a adjustable fork lift truck frame which acts as a parallel aligning system, allowing the drive unit and idler unit to be perfectly in line to prevent a cylinder corkscrewing off. 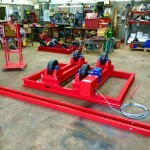 Get in contact to learn more about hiring and buying our equipment. 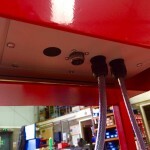 If you need any technical help or have special requirements we are always available to assist. 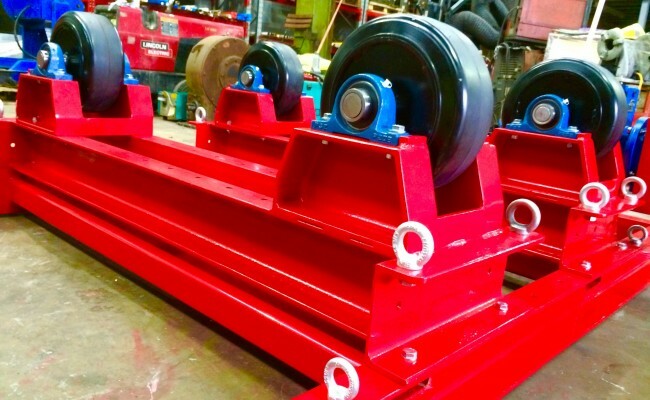 In-House Manufactured: As we manufacture our pipe rollers we can design the CR 5T pipe rollers to whatever spec the customer requires.